Imagine sipping your morning coffee on the patio while gazing at the rolling waves of the Pacific Ocean and maybe even spotting a dolphin frolicking just offshore. This is how your day begins at The Beachfront Inn & Suites at Dana Point. Nestled between San Clemente and Dana Point, just steps from Capistrano Beach and halfway between San Diego and Los Angeles, we’re one of the most welcoming, relaxing and affordable hotels in Orange County, CA. We offer 32 spacious, clean and newly upgraded rooms, with suites ranging from 600-800 square feet. Each suite offers a living room and separate bedroom featuring one king, two king, one double or two double beds with free Wi-Fi, free parking and free hot continental breakfast. Our friendly team will direct you to local attractions, entertainment and the best dining Southern California has to offer. Each of our spacious and comfortable suites features an ocean view. Capistrano Beach is less than 100 feet from our hotel; Capistrano Beach offers fire pits, basketball courts, and parking. We’re also less than one mile from Doheny Beach, 35 minutes to Disneyland and only 25 minutes to John Wayne Airport (SNA). Some of the best surf spots in Southern California are nearby including Trestles, San Onofre and Salt Creek Beach. Comfortable, clean and spacious, our King Ocean View Suites accommodate up to four adults. Each room features an ocean view, one king size bed, a sofa bed in the living room and a private balcony. 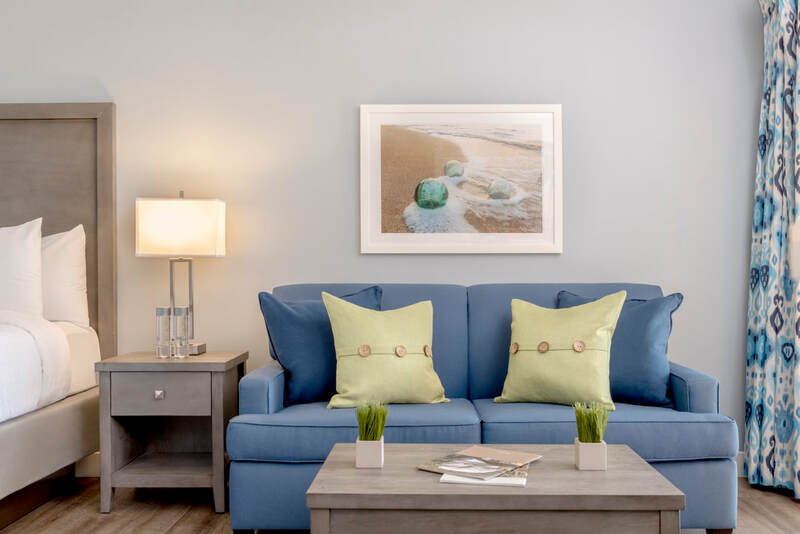 The Beachfront Inn & Suites at Dana Point is located along the famed Pacific Coast Highway, perfectly situated just a shell’s toss from the sandy shore of Capistrano Beach in Orange County, California.